The weekend of the Guaranteed Legendary Draft, I was at the beach celebrating America’s birthday. Unfortunately, I didn’t have any of the recording equipment with me so I could make videos. But that didn’t stop me from participating in the best value draft on this side of Solis. 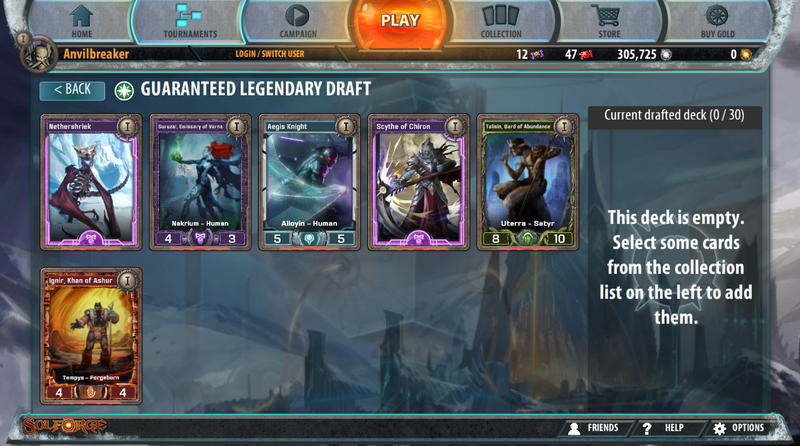 I played in six drafts, and screenshotted all the legendaries I had access to. Here’s a summary. I took Ignir here. He’s just simply the strongest Constructed-playable card in the pack. Alyssa is probably the next-best. 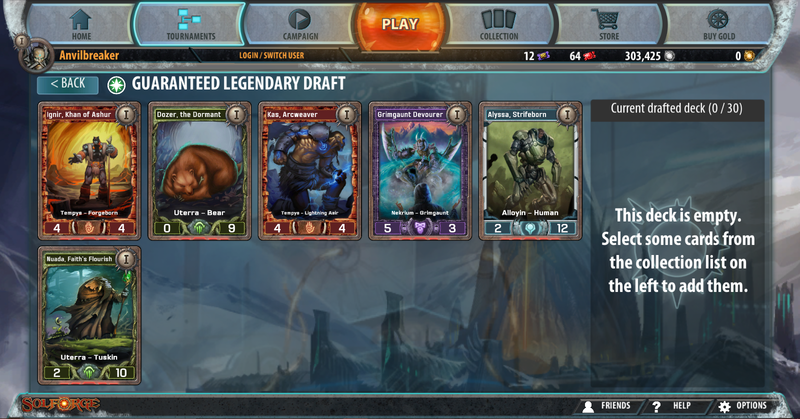 Ended up with a mediocre Umbruk deck and went 3-1. Took Living Hive here. Alyssa and Varna are also very strong picks, with Sycthe and Ancestral Echoes not being slouches, either. 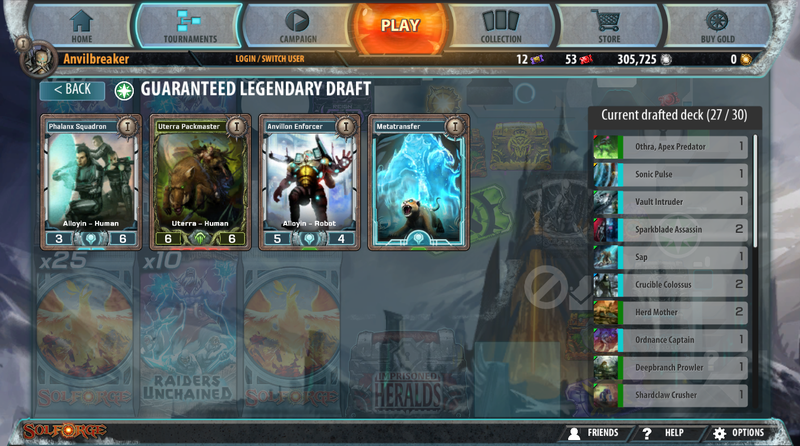 Took the Living Hive because I really enjoy playing with the card, and even though I don’t intend on building the Yeti deck to complete this F2P run, I am a lot closer to building it by taking this Hive than I am to building any Alyssa or Varna deck. 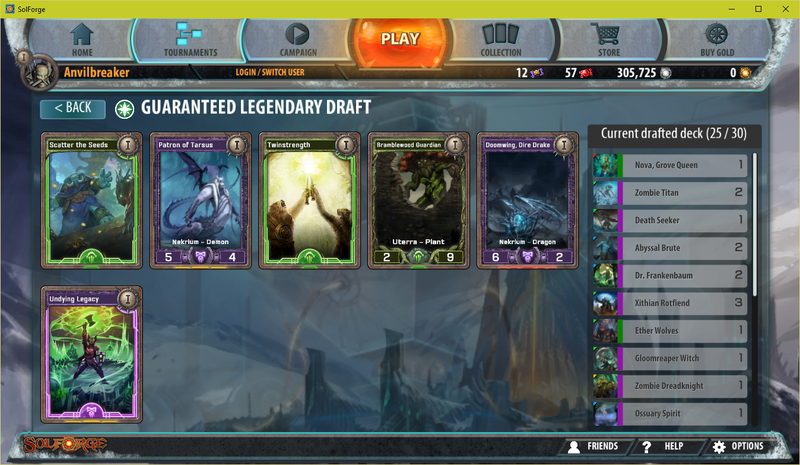 Ended up with a very strong Dysian deck. 3-1. The loss was from queuing up and then going away to do something, forgetting to come back. Whoops! Took Nova here. 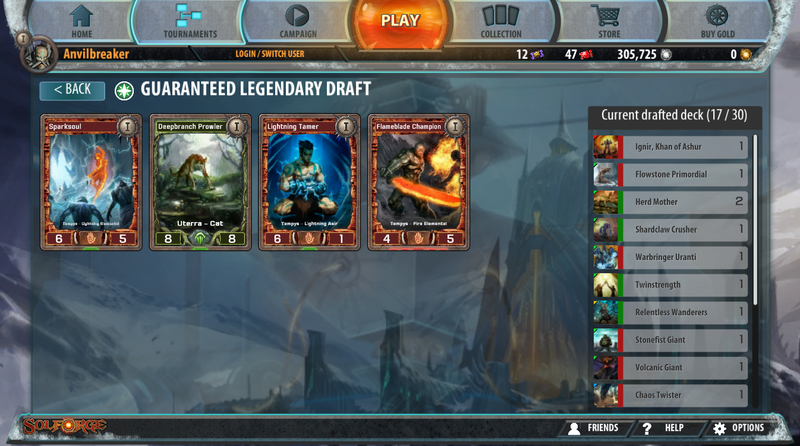 Zimus is also okay, but I don’t enjoy playing Zimus decks as much as I do Nova decks. I found a friend for Nova during the draft, Doomwing. Ended up with an okay Dysian deck. Finished 3-1, very disappointing loss. Took Othra, though it is funny that I could’ve had a playset of Alyssas if I had taken every single one I have seen. 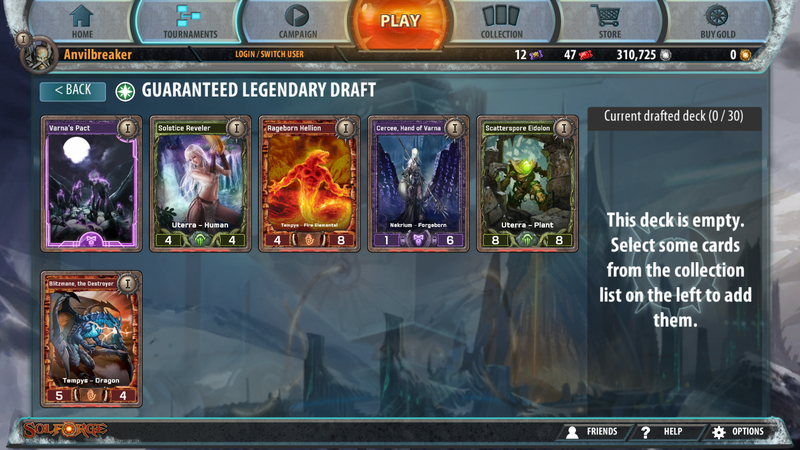 Found an Uterra Packmaster during the draft. Ended up with a good Esperian deck, but only finished 2-2. 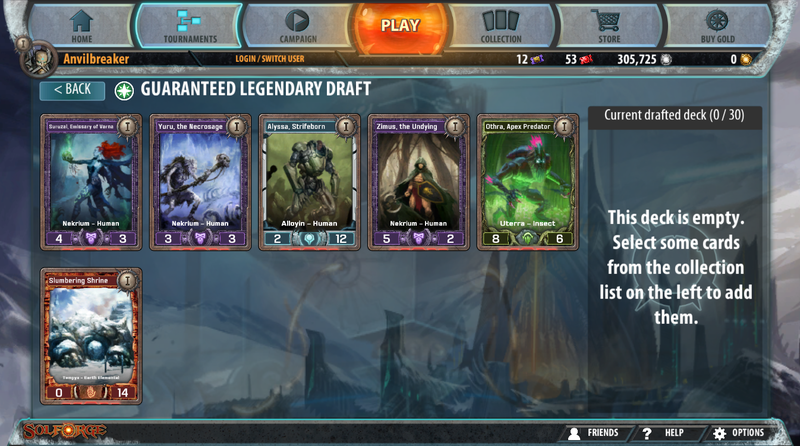 Took Scatterspore Eidolon, since choices in this pack are pretty scarce. Ended up with a solid Dysian deck. 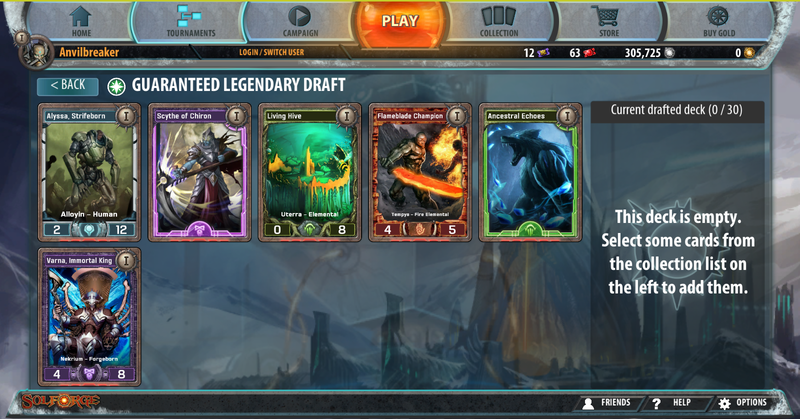 Managed to draft an Undying Legacy, which I need for the Fiend deck. 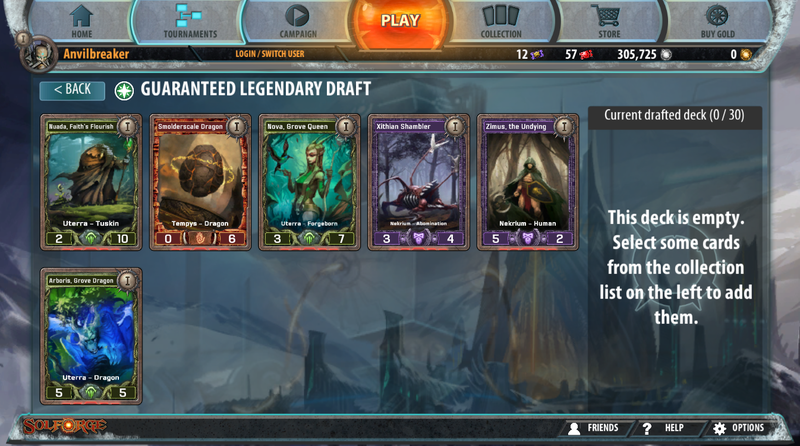 Surprisingly, it was my first one I’ve drafted! Ended 3-1. It took a lot of willpower not to use the tickets accumulated from the 15 days of double rewards, but I managed not to and saved the leftover 45 tickets to keep the F2P run more fair.